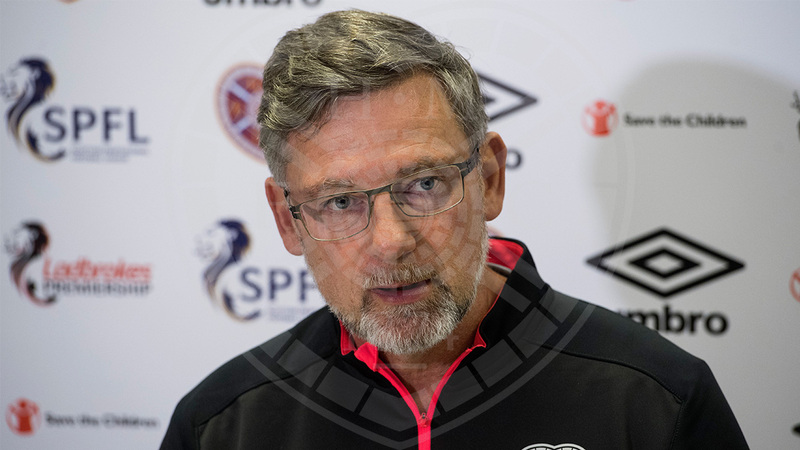 Craig Levein says he’s feeling stronger by the day and will make a decision tomorrow on whether or not to return to the dugout for this weekend’s Ladbrokes Premiership match away to Motherwell. The manager returned to the club’s training base this week following an illness, and has spent time observing training and getting back into the swing of things. In his absence, the first-team continued its unbeaten start to the season with a comprehensive 4-1 win over St Mirren, and he was never in doubt that his staff and players would let standards slip despite testing circumstances. Speaking at his pre-match press conference this morning, Craig said: “I’ve been back this week and I’ve felt good. I’m feeling a hell of a lot better. “I’m stronger every day. I haven’t 100% made my mind up yet whether I’ll be in the dugout on Saturday or not. “I’ve got a bit of a cold, which will maybe make me feel a little bit lacking in energy, but I’ll make that decision tomorrow. “If I’m not in the dugout on Saturday then I definitely will be the following week. “There is a good staff here. People can take responsibility. They get responsibility anyway on a day-to-day basis to run their own area. “Everybody has stepped up to the mark in the last couple of weeks and the players as well. “Some of the senior players have been fantastic. Even Christophe, who is obviously injured, has been around about it, encouraging everybody and keeping everybody focused. “That enabled us to win against St Mirren and we’ve got an even tougher test on Saturday. “I was at the Motherwell v Rangers game and I was impressed by Stephen’s team. They look as if they’ve got their mojo back a little bit. Craig’s press conference is available to watch in full on HeartsTV by clicking here.